So, almost all of the posts here are people's best attempts, usually playtested a few times and just in need of a little tinkering to get working properly. 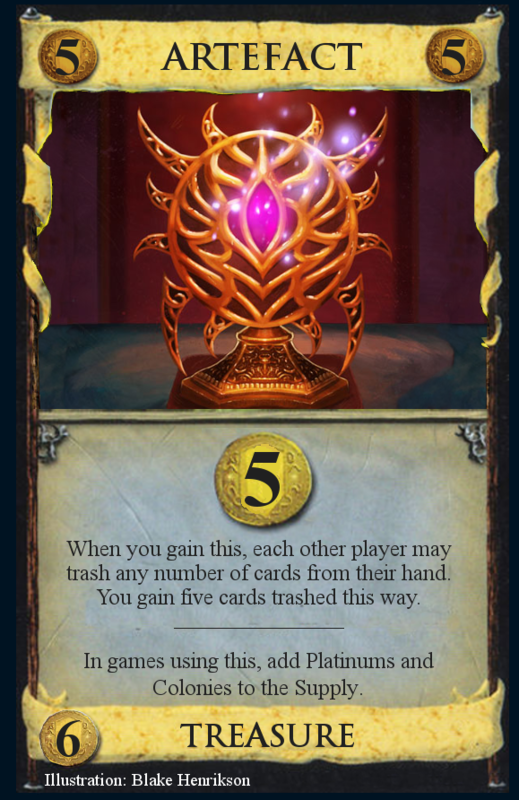 Anyone who has tried their hand at Dominion card design should know that most ideas...don't reach that stage. I've been keeping in a folder all of my failed or unbalance-able ideas that are nonetheless not ridiculous enough to throw into the "Really Bad Card Ideas" thread. I'm not especially looking for feedback on how to improve them as I've largely given them up for dead at this point, but if you've got any particularly inspired ideas feel free to chime in. Otherwise, maybe someone here will find something worth polishing up or, more likely, will at least get a laugh out of the attempts here. 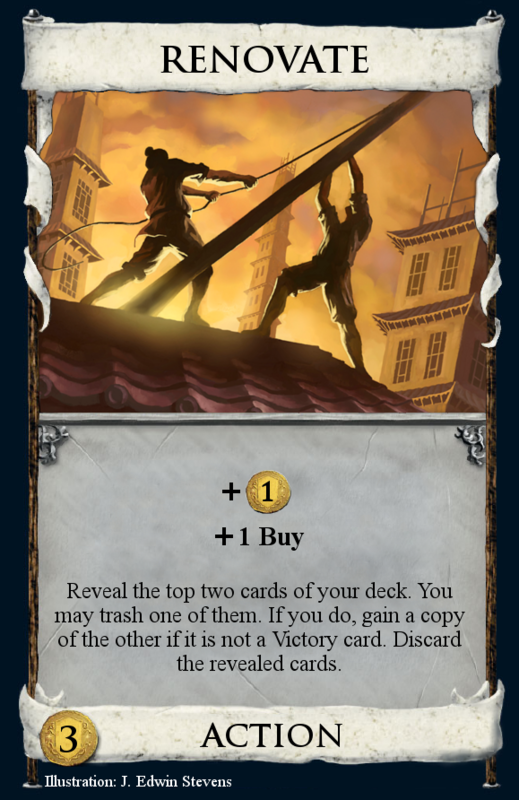 Fragasnap's Greed expansion explores the interesting possibility space around the Duchess mechanic - cards that set rules for the games they're included in. One thing I'd noticed is that the majority of the Greed rule-cards explicitly slowed the game down; adding coppers on shuffling, increasing costs, trashing your cards on buying more expensive ones, etc, with very little in the way of cards that accelerate games instead. I've tinkered around myself with some ideas and while most of the Actions are workable enough to avoid a place here (Silversmith for example), the Treasures are uniformly terrible. Here are a few. Gambling Den: $4 Action. Roll a six-sided die. 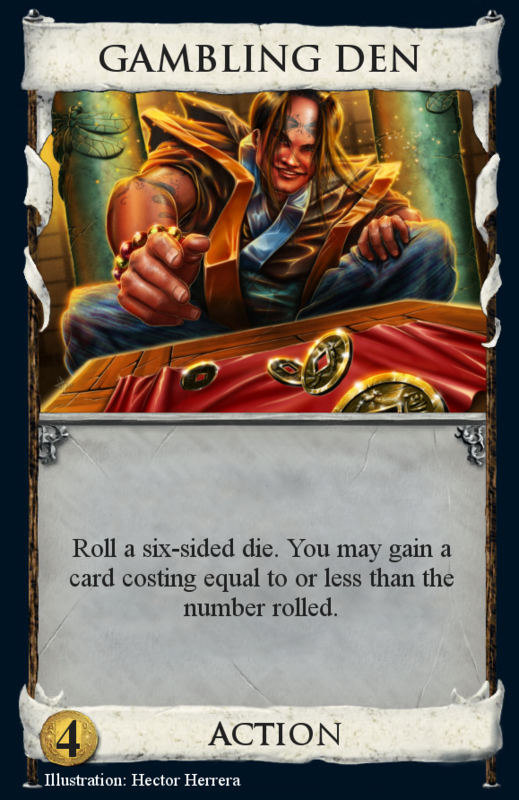 You may gain a card costing equal to or less than the number rolled. I have to admit that I actually still like the idea behind this, but my playgroup vehemently disagree. Luck is apparently not a fun element to incorporate more heavily than it already is in Dominion. If you're of a different mind, one widget to adjust if it proves too powerful is to make the card gain mandatory. But I never really got to playtest this much given the opposition to its inclusion. Renovate: $3 Action. +$1, +1 Buy. Reveal the top two cards of your deck. You may trash one of them. If you do, gain a copy of the other if it is not a Victory card. Discard the revealed cards. Another luck-based card, but not as fun as Gambling Den. In practice it just ends up too swingy, doing nothing most of the time and occasionally turning a Copper into a Platinum. I can't really see a way to salvage this. Dance: $2 Action/Reaction. +2 Cards. Whenever any player (including you) shuffles their deck, you may discard this. If you do, +2 Cards. Part of a little shuffle sub-theme I'd been working on. The theory being that it gets played for free some of the time, but is otherwise mediocre. Three major problems with it. First of all, it's impossible to balance for multiplayer. I tried adding a variable additional cost based on the number of players (which is a potentially interesting concept in itself that I haven't followed up on elsewhere) but in practice it was still just a cheap Lab most of the time with three or more players involved, which is kind of boring. Second, it requires you to keep track of something tedious and interrupt other players' turns for a minor effect. If someone else has an engine going that cycles through their deck and they're trying to keep count of the number of actions and card draws they have left, the last thing the game needs is someone throwing up their hand for a Dance mid-shuffle. And third, in practice I've found that people tend to shuffle their decks ahead of time if they're on the last card or two and know they'll be drawing past it during their next turn, just to save time. Dance makes that confusing and complicated, and doesn't provide enough pay-off for it to be worth it. Sealed Chamber: $4 Action. +$3. You cannot buy or gain this until your deck has been shuffled twice. So terminal Gold for $4 is a little strong for an opener. Horse Traders gets close, but it's got a bit of a downside in that it can't bootstrap you to actual gold from your starting Coppers. Obvious solution: prevent the card from being bought in the first few turns. And it does actually kind of work. I think you might get away with just the first shuffle. But you remember how nobody ever buys Harvest? Yeah, same thing here. It's just...dull. The idea is nice though, I think. Deed: $0 Treasure. Worth $2. While this is in play, you must first spend $2 on a Victory card before you can spend $ on anything else. In games using this, when you gain a Province you may gain a Deed. Soooo...yeah. $0 is probably the right price point for this. 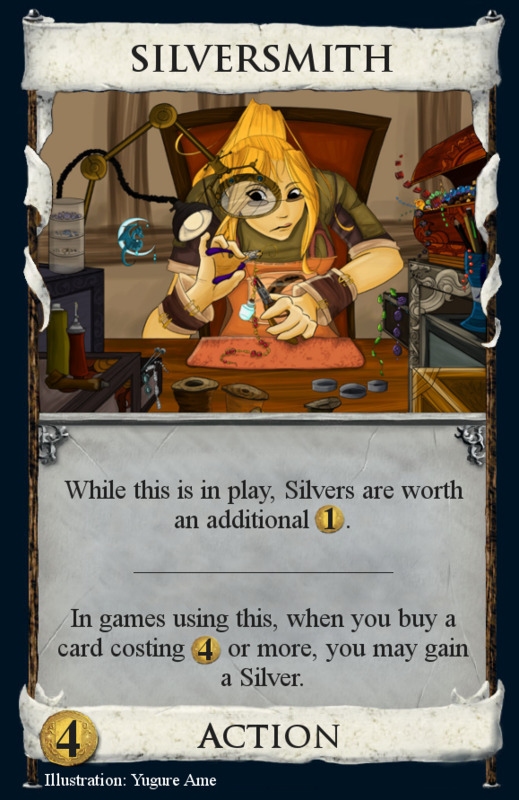 It's actually not terrible to get for free once you start greening in a Big Money strategy, offsetting your bloat with pseudo-silvers, but that's even more niche than Duchess, which is already a niche card. I could have tried bumping up the price and having it give $3, but it's still not really a very exciting card, and the interaction with Storyteller is weird to say the least. Artefact: $6 Treasure. Worth $5. When you gain this, each other player may trash any number of cards from their hand. Gain five cards trashed this way. In games using this, add Platinums and Colonies to the Supply. This is just hilariously impossible to balance, and I tried because I liked the idea. Adjusting the cost, the value, the trash numbers, the gain numbers. No matter what you do, it's either too powerful or too weak in one of either duels or multiplayer. Maybe there's a perfect set of numbers out there for it, but I've kind of lost patience in trying to work out what it is. Archivist: $5 Action. +1 Card, +1 Action. Starting from the top of your deck, set aside every fourth card. For each, choose one: trash it, discard it, or put it on top of your deck. A Lookout/Cartographer hybrid. It only really does anything in big bulky decks since it doesn't (or at least isn't intended to) touch the discard pile, and even then it's kind of a milquetoast card. I think it could be functional after some numbers-tinkering, but I kind of prefer custom Actions to do something *interestingly* unique on top of combining the five vanilla bonuses (cash, trash, cards, action, and buy). Heirloom: $0* Treasure. Worth $3. At the start of the game put 8 tokens on the Heirloom mat. This costs $1 per token on the mat. 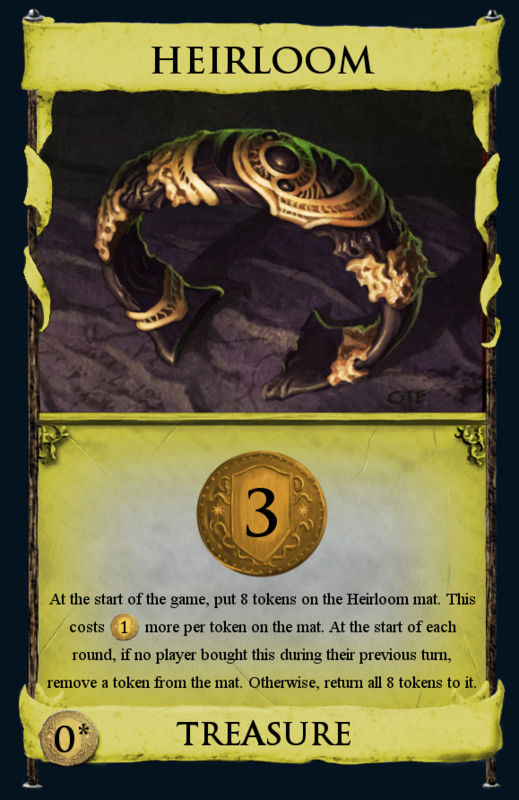 At the start of each round, if no player bought an Heirloom during their previous turn, remove a token from the mat. Otherwise, return all 8 tokens. Wow this was an early attempt. The initial idea - a card that gets cheaper until someone buys it - isn't *terrible*, but there isn't an easy way of concisely and unambiguously wording it. The above was the best I could think of at the time, and even that required the introduction of the term "round" that would have to be explained in an FAQ equivalent. In practice, it doesn't work fairly. 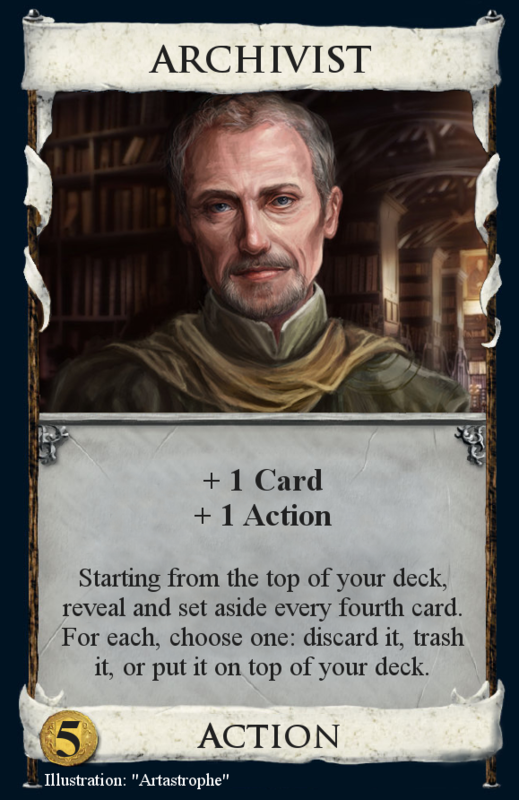 It's political, it requires notoriously forgettable end-of-turn attention to keep the tokens in order, and, worst of all, the wordiness of the bottom half means that the actual effect of the card can't be very long or interesting. Granary: $4 Action. +1 Card/+1 Action. Set aside the top card of your deck face down on your Granary mat. If there are four or more cards on the mat, put them into your hand. This one was mostly an exercise in introducing information hidden from both parties. As a card, it's ok. Middle of the road. It makes for some occasional good mega-turns, but has a tendency of temporarily dismantling engines without telling you about it. It's more a victim of personal philosophy than anything else. Non-terminal $4 action cards are rare in Dominion for a reason, I think. 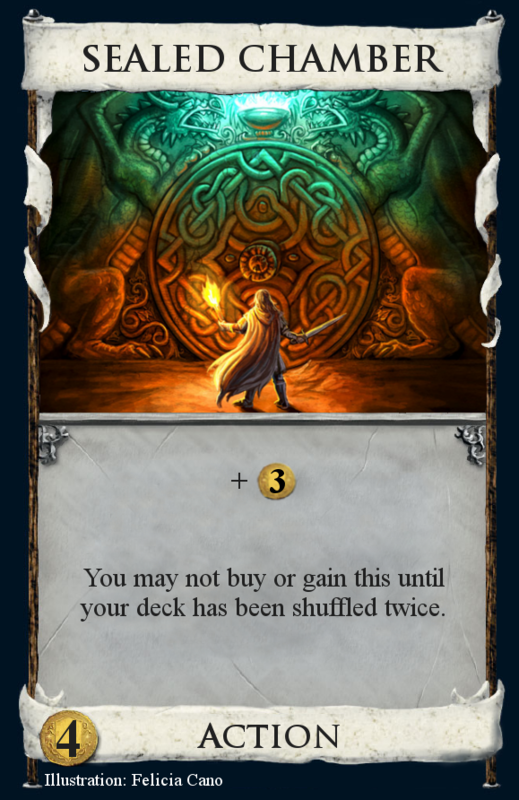 The Terminal 4/Silver choice is one of the key components of the game in my opinion, and only a handful of cards break that - mostly Village+s, conditional cards, and the occasional oddball like Herald, Advisor or Caravan. 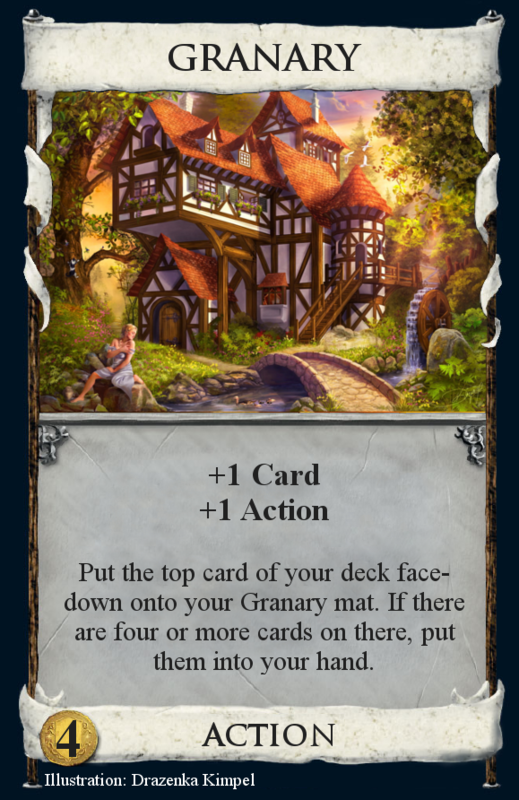 It wouldn't be *terrible* for Granary to join those ranks, but I'm just not that enamoured of the card in the first place. Assassin: $5 Action-Attack. +$2. Each other player with five or more cards in hand reveals all but one of those cards, and discards one of your choice. It turns out Pillage is a one-shot for a reason. Who knew? Shaman: $3 Action. +1 Action. 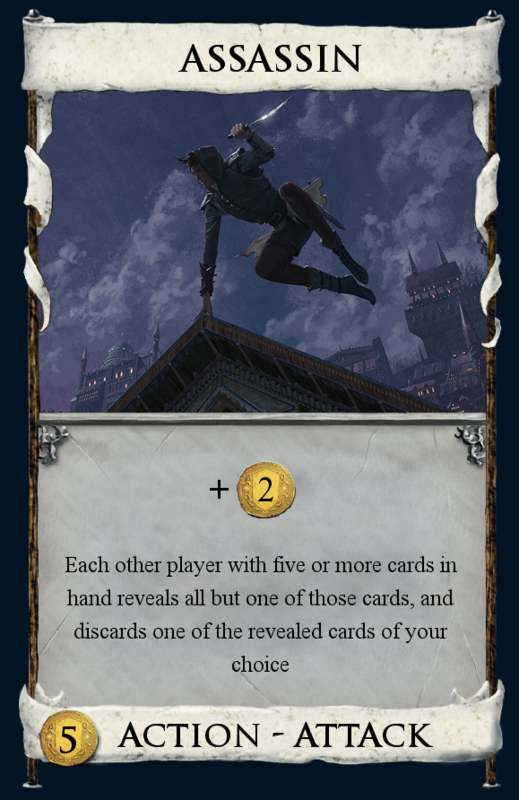 Reveal a card from your hand and the top card of your deck. If they don't match, +1 Card +$1. In practice this ends up just being a Peddler 90% of the time - the additional action isn't worth the time it takes to perform. Well, talking about this junk has been cathartic at least. Feel free to chime in with your own monstrosities, or discuss any of the above, or just leave the thread languishing commentless. Heirloom -- what if, instead of getting cheaper each round, it got cheaper whenever something relatively common happened. Like, whenever a player buys a treasure (other than heirloom obv). Another option -- you can make it cheaper for you instead of for everyone. Like, "in games using this, whenever you buy another treasure, put a coin token on your blah mat. When you buy an Heirloom, take those coin tokens"? This is obviously a rebate, and not a discount, but you get what I'm saying. I think I made Shaman (with a different name) for one of the card design competitions once. The consensus was that it's a cool idea, but very strong. I think my wording was "name a card, if it's different draw the card." The reveal I think is better because it stops you drawing single action cards at the start of the game making it a little less strong. EDIT: That can't have been my wording. It must have been reveal as well. I don't see what's so strong about it. It's just a Peddler best case. Are you thinking of a version that gives an additional default +1 Card? 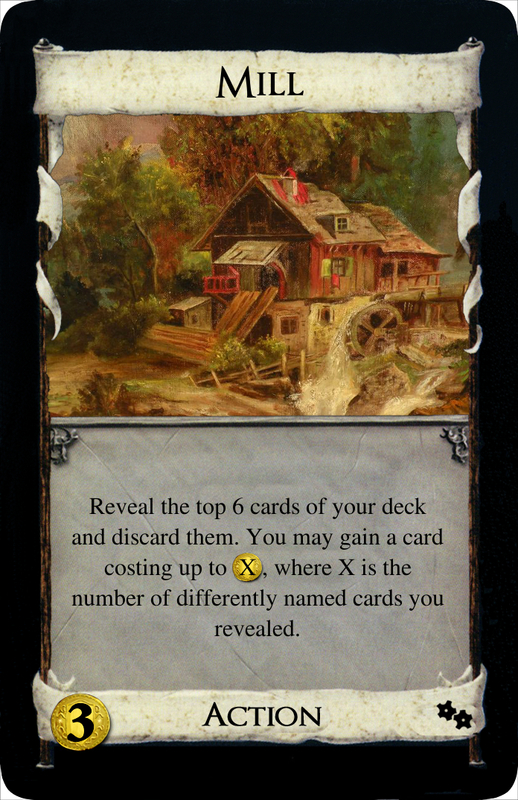 Gambling Den could use the Harvest mechanic. I think that would reduce the luck factor, improve your cycling, and make it acceptably weak at the beginning of the game, while still useful later. Not sure who originally pointed out the similarity between dice cards and Harvest (not me), but i think it's a good catch. +1 Action. Reveal a card from your hand, then reveal the top card of your deck. If they don't match, +1 Card and +$1. From the cornucopia section of the set design contest from last year. You can go to the thread and find the discussion on it. It was in the finalists, so it was well received. Ha, the wording is identical and even the names sound almost the same. Goes to show that it's tough to come up with an original idea. It's totally a cool card though! Also interesting how we both came up with the same card. The main issue people had was simply that it wasn't super interesting. That's fair for the contest because we were picking only 1 card. But since this is part of a larger set I think it's good. You may skip your next turn. If you do, at the start of the following turn, gain a Hedonism token. Worth 2VP per Hedonism token you own. An anti-Outpost of sorts, and what I thought was an interesting concept for an alternate victory card. 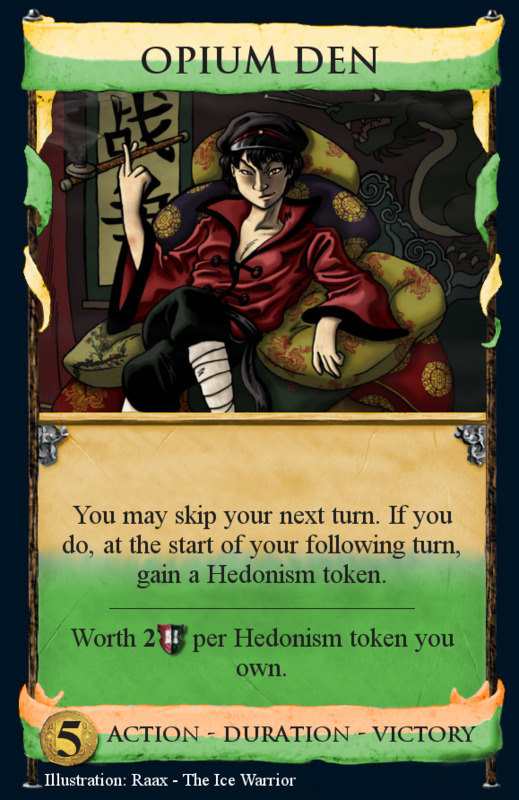 You give your opponent the chance to speed through Provinces in the hope of making your own opium dens worth enough to catch him up. Can you guess the problem? As it turns out, the best tactic once your opponent has an Opium Den or two is to rush splitting the pile, then play them every turn to make them worth more. Your opponent then does the same, until the Dens are worth so much that they determine the entire fate of the game, with neither player looking to end it until they've firmly one-upped the other on the value of their Opium. Greening only clogs your deck up, letting the other guy get more Opium. I really should have remembered the notes on Victory token cards and why infinite gaining is not a good idea. The end result: two previously industrious lords end up sitting around wasting endless days inside Opium Dens instead of improving their Kingdoms. It's hilariously thematic, but not a very good outcome for a game. Sounds like a Bishop/Fortress game but in just 1 card. And third, in practice I've found that people tend to shuffle their decks ahead of time if they're on the last card or two and know they'll be drawing past it during their next turn, just to save time. Dance makes that confusing and complicated, and doesn't provide enough pay-off for it to be worth it. This is actually a bad habit that you should try to curb unless the players are very careful about it. There are many cases where this would have a real impact. The most obvious one is discard attacks, but there are others too. Sure, but if you get junked or have to discard, you just reshuffle. You don't lose any extra time. My usual playgroup trust each other enough to keep track of gains and discards that pre-shuffling isn't a major problem, and it dramatically speeds up four player games. Your mileage may vary, of course. +$2. While this is in play, you may buy any number of cards from the Trash. 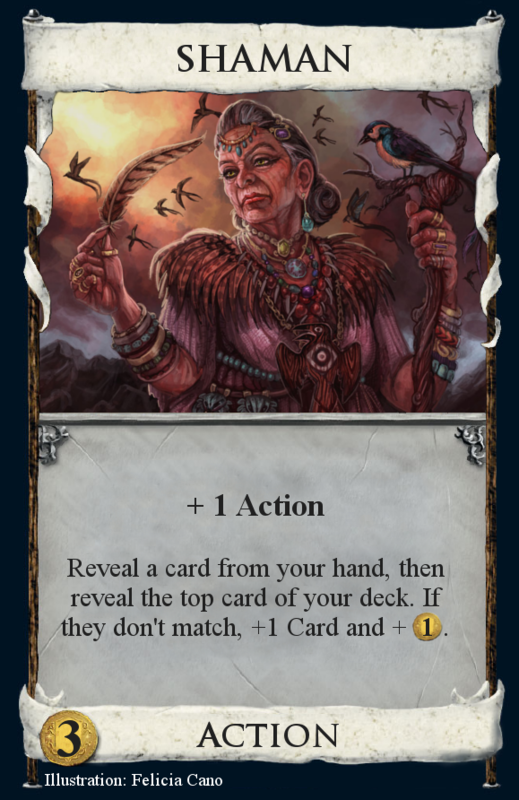 In games using this, when the first Province is gained, each player sets aside 10 cards that they own, trashes the rest, and discards the set-aside cards. 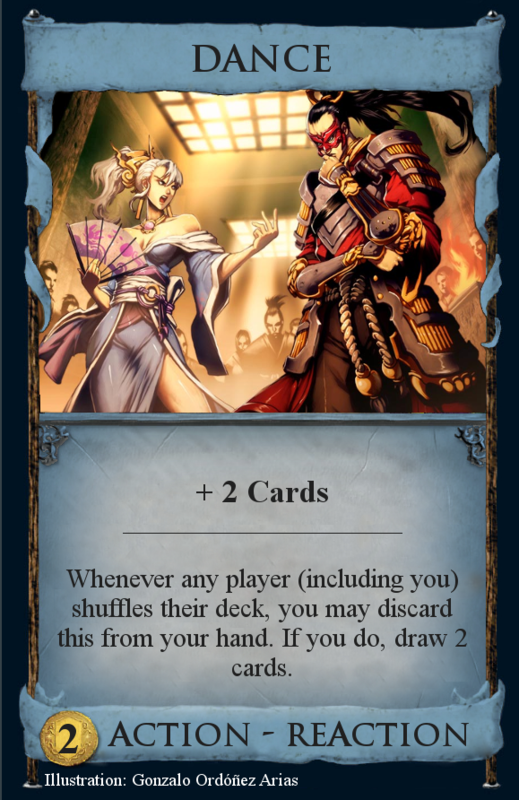 Rulebook clarification: cards you own include those you have in play, in hand, in your deck, in your discard pile, on any mats, and cards that you have set aside by other means such as Haven, Gear, or Save. Tokens are not cards, and remain where they are. So this is another one like Gambling Den, where, while there are a few issues with it, it's hated enough by my playgroup as-is that I'm unlikely to get a chance to playtest them out, so it ranks as a "failure or mediocrity". Goons becomes a lot more powerful, and Goons + Wasteland + in-hand Watchtower = infinite points if there's a Copper in the trash. Likewise, Wasteland + Copper in trash + in-hand Trader = instantly empty Silver pile. This one's a big enough issue that you'd definitely have to limit the number of Trash-buys rather than leave the card as-is. VP and Coin token cards would be very popular early grabs on a Wasteland board as you can maintain your gains across the Province-divide. I'm not sure if junking attacks would be more or less popular - they'd slow the opposition down enough that they'd be hampered in getting the best 10 cards they can for the reset, but all that junk disappears afterwards. Colony games would also become quite weird, tactically-speaking, but that's not necessarily a negative. Going for a Gardens strategy using Wasteland to pick up everyone's trash. If you can set up a Golden Deck before the reset, you basically win the game. One solution might be to add Coppers to thin decks to bring them back up to 10 starting cards. Wait... So this makes every player trash all but ten cards from their deck? That's... I don't even have words. I mean, it completely destroys alt-VP, makes Curses behave very odd, deck thinning, balancing components, all goes down the drain. It even makes gaining the first Province pointless. Hey, if i can spend those $8 on my sixth Lab, why bother? It's not like i want to be the only player who has just nine good cards in his deck, and if i'm going to trash the Province either way, i should instead buy the best possible card so the ten i keep are perfect. Yup. Some ideas really should not see the light of day. Which is why it's here! I swear that not all of my ideas are as bad as it might seem looking at this thread. It's just that I throw *a lot* of concepts at the wall, and some are particularly stupid. If we weren't willing to think about things that look stupid, how should we ever know whether they are? Which is to say, i didn't want to discourage you. 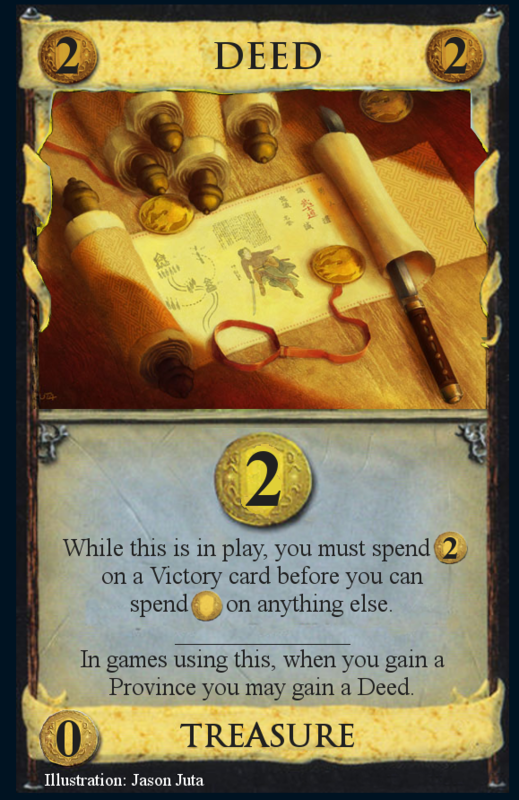 Also, i'd like to repeat that you should give the Harvest wording a try to fix Gambling Den. If you don't, i will try it. 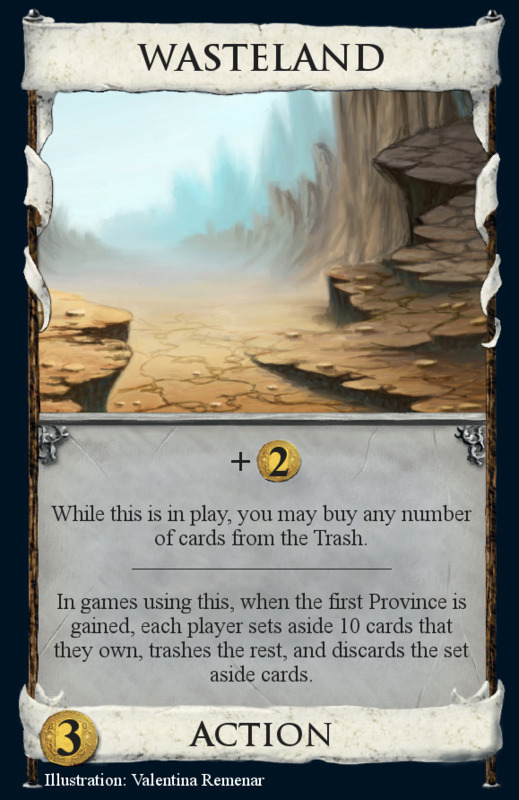 I do think Wasteland's "buy cards from the trash" mechanic is interesting though (if not perhaps weak). I hope you don't mind me posting this here, but i tried myself at that Gambling Den fix. Because of the "differently named" thing i decided to re-theme it a bit to fit Cornucopia more. Uh, I guess. I'd bet that there are niche cases where it really does matter and it's not easy to roll back, though I can't think of any right now. There could only be such niche cases if there are any cards that depend on the ordering of your discard pile, which I don't think there are. Literally all that you're doing is randomizing the order of your discard pile. If it turns out that that discard pile is your new draw pile, great, you can just flip it over and you're ready. If it's not, then you just have a randomly ordered discard pile, and it comes out the same as if you had waited to shuffle. The only real difference is that the top card of the discard pile is supposed to always be visible, which can make a small difference for tracking stuff, but as long as your opponents trust you to be honest when they ask what the top card of your discard pile was, it should come out the same. By the way, i just played a test game (against myself) with my suggestion for Gambling Den, and revealing cards just makes it so much less about chance. At the start, you'll never reach or , which makes sure you don't have one player getting an unfair head start. Later it's still likely to hit at least one duplicate, but also you'll rarely get three or more. But that's just the math side - of course you can also influence how your deck looks. As it cycles your deck decently, i'd say it's on par with or slightly better than Workshop, so seems fine to me personally. Just for information. Edit: By the way, i think that quite a few of your cards have really nice and clever concepts. And the art you picked is gorgeous. +$2. Put an Action card from the Supply into the Trash. You may buy an additional card from the Trash this turn. In games using this, when a player buys a card, he takes a Doom token. When a player has exactly 10 Doom tokens, he sets aside 10 cards that he owns, trashes the rest, and discards the set-aside cards. This makes the reset come at more or less a preset time, while allowing for a little playing around to set up the deck for the right moment. I think the "Buying from the trash" needs to be limited in number to avoid the infinite scenarios you pointed out yourself, but the card needs to make buying from the trash worthwhile even outside of the reset-trashed cards, which are going to be the worst in the game. The number of Doom tokens before the reset can be tinkered with for balance, but it seems more workable. I feel like this just turns into "In games using this, once you've bought 10 cards, trash your starting deck"